With its castles and fairy-tale villages, Europe has long inspired some of the greatest Disney stories. Now, that inspiration has shaped the 15th proposed Disney Vacation Club Resort. Disney's Riviera Resort will celebrate the grandeur of Europe—but reimagined à la Disney magic. 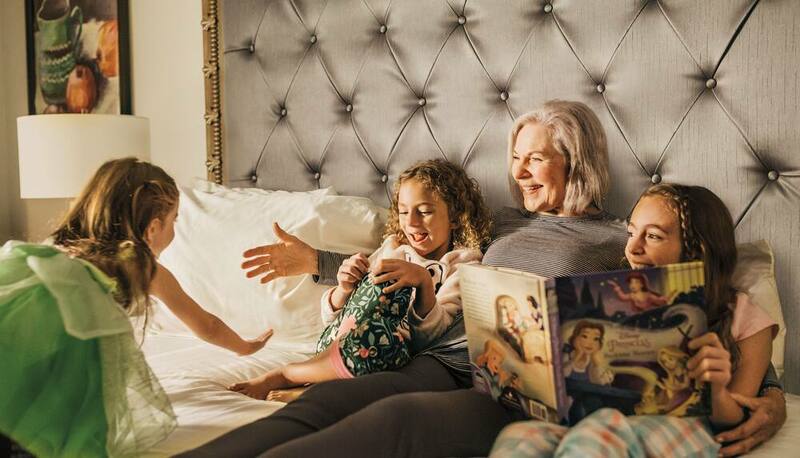 Here, you and your family can return to write your own vacation stories year after year in the heart of Walt Disney World Resort. 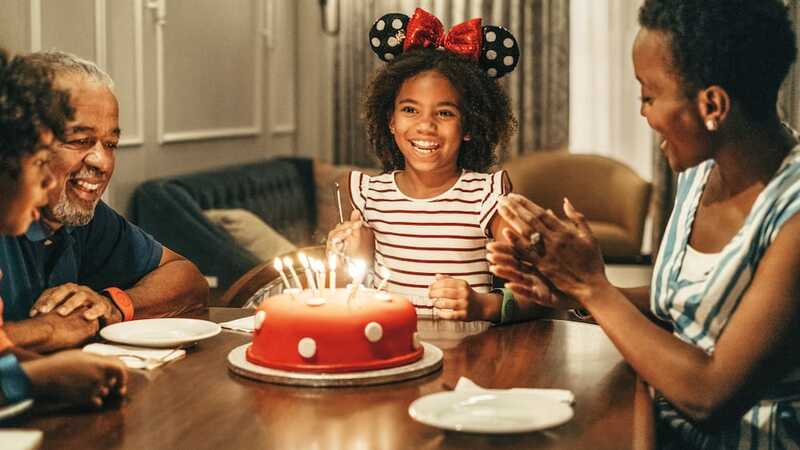 Become a Member at Disney’s Riviera Resort with this special introductory offer. Terms apply. Not registered in all jurisdictions. This is not an offer where registration requirements have not been met. This Resort is designed to capture the magic of Europe that Walt Disney fell in love with once upon a time. Upon arrival, you'll be welcomed home by a palm tree-lined boulevard and the striking façade of this Resort. From the grand archways and porticos to the tower and terraces, Disney's Riviera Resort will be a modern masterpiece of imagination, with each detail drawing upon the influences of Europe and the Mediterranean. In the main lobby, you'll find yourself in an elegant setting appointed with a mix of modern and classic 20th-Century furnishings. You'll also discover a unique art collection celebrating beloved Disney Characters and icons, influenced by the works of master artists who found inspiration along the European Riviera. Here, you'll be easily connected to Epcot and Disney's Hollywood Studios via the new Disney Skyliner. Here, you'll be easily connected to Epcot and Disney's Hollywood Studios via the new Disney Skyliner. 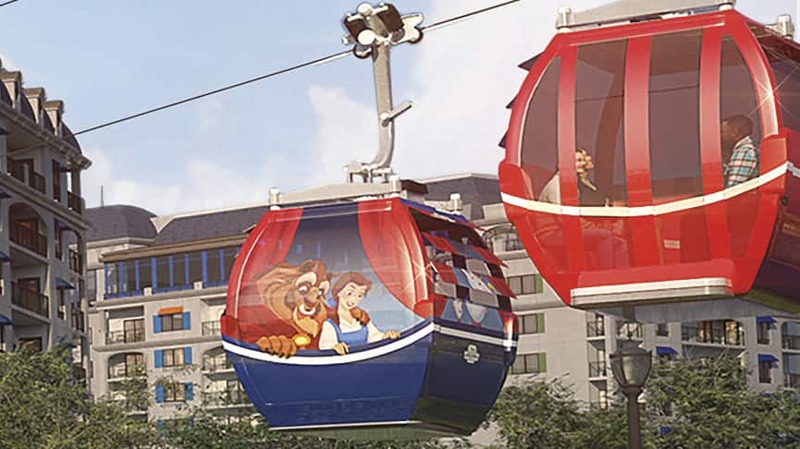 Enjoy a short stroll over to this sky-sailing gondola system—debuting in fall 2019—that will whisk you and your family away to these beloved parks. Or take advantage of convenient bus transportation to other Walt Disney World parks and Disney Springs—where magical new experiences await. If you're looking for a quiet night in at Disney's Riviera Resort, you'll be perfectly positioned to enjoy unique views of the nighttime spectaculars at Epcot and Disney's Hollywood Studios. Delight in a palate of European-style cuisine at one of many Resort eateries coming in December 2019. Perched on the rooftop of Disney's Riviera Resort, this exciting new table-service venue is inspired by the cliffside restaurants of the Riviera. Topolino's Terrace is designed to satisfy all the senses, with stunning vistas and regional delights served straight from the expo kitchen. Indulge in an unforgettable signature dinner experience accompanied by sights of nearby nighttime spectaculars at Epcot or Disney’s Hollywood Studios. Or, rise early and stop by for breakfast done the Disney way, with a prix-fixe Disney Character Dining experience. From the moment you walk in, this inviting lobby locale greets you with the aroma of freshly brewed coffee. It's the perfect place to gather with lattes and loved ones while you relax between the day's adventures. Or, as the sun sets, grab a flute-full of something sparkling as the café transforms into a bustling wine bar. For dessert, pick out a scrumptious treat to enjoy alfresco as you stroll under the stars. Enjoy a fanciful afternoon at Bar Riva—a poolside hotspot serving up European- and Mediterranean-style fare. 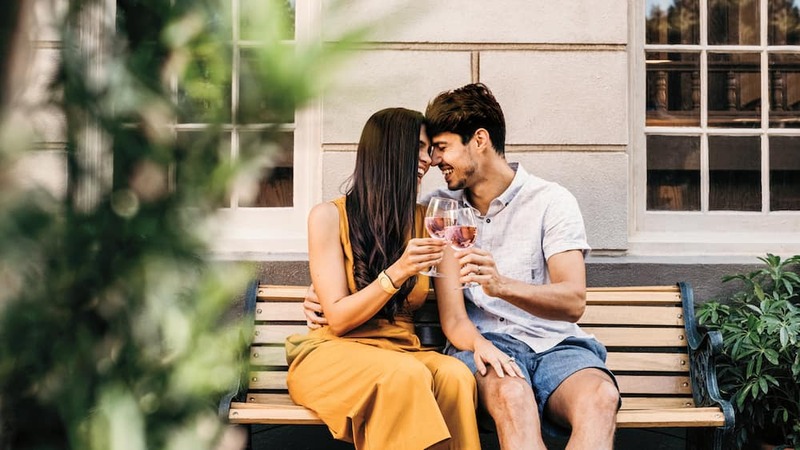 Connect over long, laughter-filled lunches as you take in the sights while sipping on cocktails and refreshing drinks made to order. For a meal that will satisfy the whole family, pop over to this quick-service trattoria serving up plate after plate of tasty cuisine throughout the day—as well as bites to grab and go. Beginning in December 2019, you can channel the relaxation of life along the Riviera in stylish accommodations. 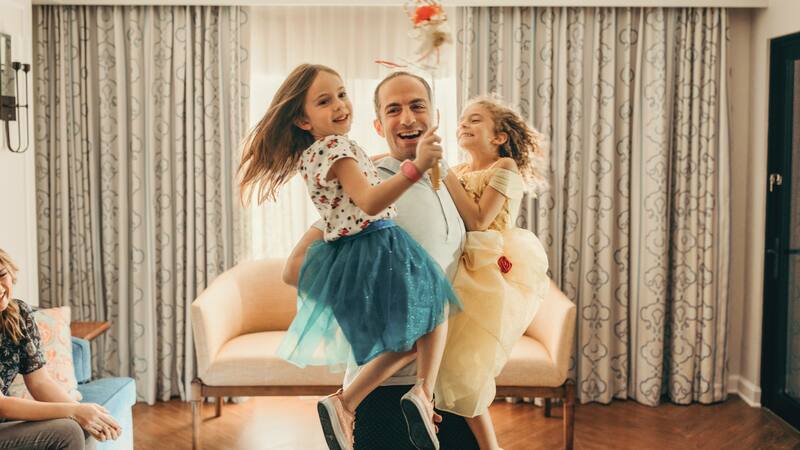 Wherever you stay at Disney's Riviera Resort, your family is sure to rediscover the joy of life away from the everyday hustle and bustle. Specially designed for 2 Guests, these one-of-a-kind Studios are a marvel of efficiency and luxury. 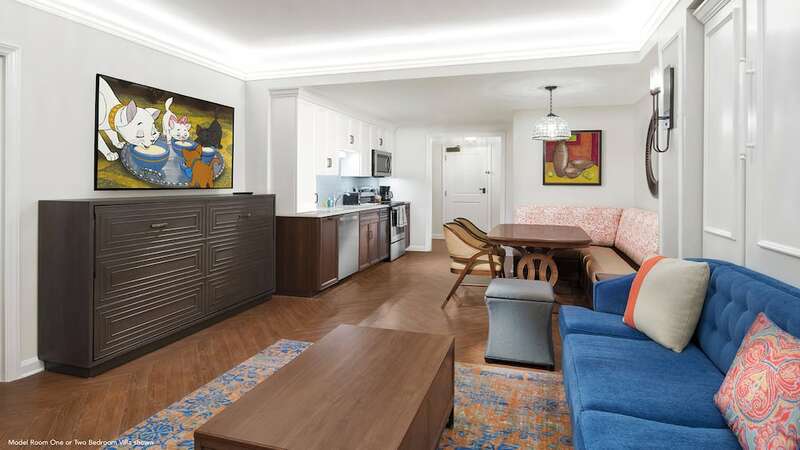 Built into the wall, you’ll find a microwave, small refrigerator, drawers and a cleverly hidden pull-down queen-size bed that just as easily tucks away to reveal a comfortable lounge-worthy space. Swim, splash and play in a family-friendly pool area—or unwind at a more serene pool. Swim, splash and play in a family-friendly pool area—or unwind at a more serene pool. Disney's Riviera Resort will offer pool options to suit your style. At the Riviera Pool, sun umbrellas dot the grounds as the inviting waters cast a warm, golden glow upon the surrounding stucco façades. Enjoy days of pure vacation bliss as you and your family splash around in this picturesque pool—complete with its own pool slide that winds around a stately column tower. Little mademoiselles and messieurs can even enjoy S'il Vous Play, an interactive water play area for kids that’s inspired by the grand European public fountains—and featuring a ballet of friendly Fantasia characters. For a quieter afternoon, lounge alongside shimmering waters and soothing scenery at Beau Soleil Pool. Experience true relaxation, with plenty of amenities and activities planned for this Resort. 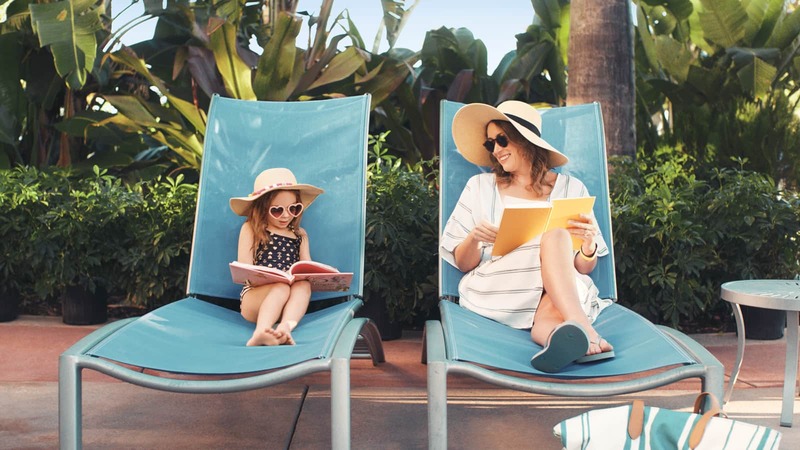 In addition to the uniquely themed pool areas, Disney's Riviera Resort will feature a variety of spaces where you can reconnect with loved ones and rediscover your best self. Whether arriving or departing, those seeking a spot to stop for a while can visit the Voyageurs' Lounge. This quiet study will feature décor inspired by a collection of book titles that Walt Disney gathered during his travels to Europe and other far-off places. With plenty of comfortable seating and a curious atmosphere, it's the perfect place for every type of traveler to relax. Discover fun and games for all ages on the activity lawn, chess lawn and bocce ball court. Or, gather 'round the fire pit to unwind after an exhilarating day. Enjoy an invigorating workout a convenient fitness facility where you can lift weights, jog and stretch. Set out on foot to explore the Resort's surroundings during a scenic stroll or jog along this picturesque path.